The Invincible Forces, a group affiliated to the New Patriotic Party (NPP), has reportedly invaded the National Health Insurance Authority Office (NHIA) at Zabzugu in the Northern Region. Members of the group, who numbered about 50, drove out the staff at the facility and deflated the tyres of vehicles belonging to the district assembly, according to a report by Accra-based Joy FM. The men are said to have warned the NHIA staff to stay away from the office until a decision is made by the yet-to-be-appointed District Chief Executive (DCE). The vigilante group said they were ousting the staff from the office because they were affiliated to the National Democratic Congress (NDC). The move comes barely two weeks after another NPP vigilante group, Delta Force, attacked a circuit court in Kumasi and freed 13 of their members who were standing trial. Weeks earlier, the same group had assaulted the Ashanti Regional Security Coordinator, George Agyei over his appointment. 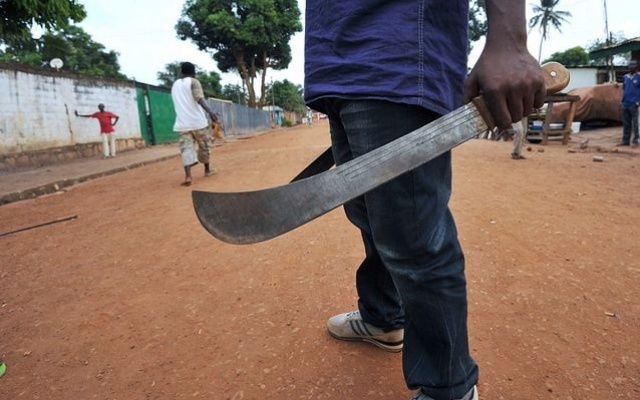 The activities of the vigilante group have provoked strong condemnation from many Ghanaians. President Akufo-Addo has consequently pledged to deal with them in line with Ghana’s laws.